This weekend you should be checking out Guardians of the Galaxy, because it's just awesome (and let us know what you think afterwards too). It's the last film to hit before Phase Two's of Marvel's cinematic universe concludes with The Avengers: Age of Ultron, and it's been a long road to get here. 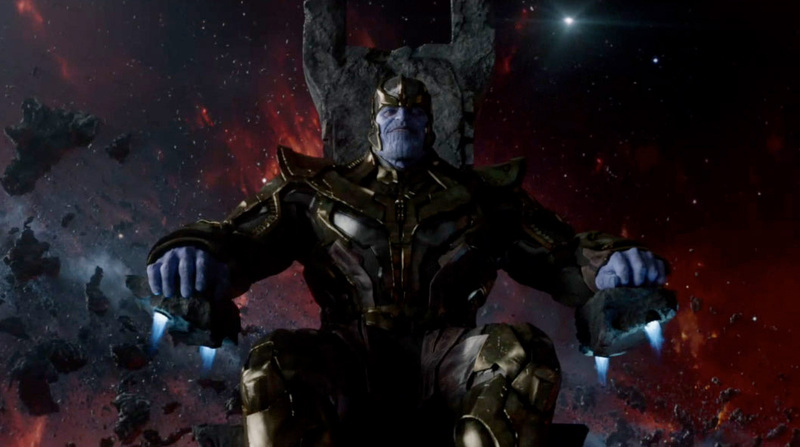 At Marvel's Comic-Con panel last weekend, they wanted to remind everyone how they got here with a cool retrospective reel that starts with Iron Man back in 2007 and goes all the way through Guardians of the Galaxy today, finally revealing Josh Brolin as the villain Thanos, who is really going to shake things up. Watch below! As an Edward Norton fan, I wish things had turned out ok between him and Marvel, I enjoyed his take on Bruce Banner and would love to see him against the other avengers. But oh well, Ruffalo did a nice job. That's a totally necessary comment. Feeling better about yourself buddy? Just chill, this is a blog about movies, sometimes people get to post their opinions. I don't see the Hulk complaint? Clearly he is in the reel. How is he being ignored? He was in there plenty! Thanos in The Avengers looked more like the real Thanos. This is just a total disappointment, he looks too human now. It's like they splashed light blue paint (Why is Thanos blue his purple color was perfect in The Avengers!) on Josh Brolin and told him your Thanos! Maybe Marvel thought the purple color on Thanos would be heavily connected to the gay community and people would think Thanos is gay. Josh Brolin is also a weak choice, I don't like his voice and am afraid his American accent at some point would be heavily infused in the character.